Richmond Wandera was rescued from poverty in Jesus' Name. Richmond grew up in extreme poverty in the Naguru slum near Kampala, Uganda, and has battled malaria more than 10 times. When Richmond's father was murdered, he was left to help care for his six siblings. He entered the Compassion-assisted child development center at his local church when he was 8, then his life and his family changed dramatically. On completing his early education, he was accepted into Compassion's Leadership Development Program and was able to attend college. Upon graduation with a CPA and Accountants degree, he was invited to join the Accounting faculty at Uganda Christian University. Richmond also served as pastor at Nakawa Baptist Church, the very church he joined as a Compassion Child. He has been involved with two church plants and community leadership. As Richmond continued to serve the local church he realized that his fellow pastors were equally struggling in ministry due to lack of theological training. Determined to receive Bible training, Richmond pursued a very select opportunity and received a Compassion Wess Stafford Scholarship to attend Moody Graduate School in Chicago (USA). During his time at Seminary, Richmond often summarized his theological papers and sent copies home to pastors who had not attended seminary. It was during this time at Moody that Richmond got a vision to strengthen the church in Africa through Bible education for pastors. After his graduate studies, he returned to his country Uganda to begin training pastors in Africa as well as participate in reaching professional Accountants for the Lord. He has since been leading the ministry of the Pastors Discipleship Network which is now training over 4000 pastors across the five countries of East Africa. PDN continueS to touch the lives of pastor’s wives & women leaders - THROUGH JESUS CHRIST'S transforming power - WITH training in discipleship, inductive bible study methods, business & life skills, and small scale enterprises. In 2015, the Pastors Discipleship Network partnered with Lancaster Bible College to provide master's level education to Ugandan pastors. Leveraging technology, these pastors are enthusiastically embracing this educational opportunity. Learn more about Pastors for Uganda. Sponsoring the Mastering the Land Biblical Entrepreneur Conference since 2013. The Baylor University accounting team provides business training and consulting to local pastors and women leaders. Discover more about Baylor Missions and the Baylor Accounting Team. 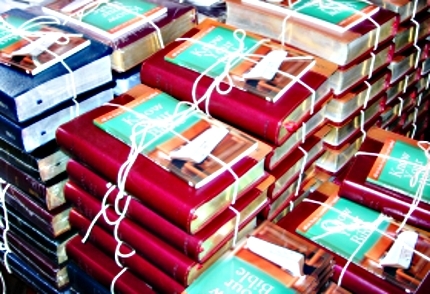 Generously providing Inductive Bible Study books and resources. Read more about Precept Ministries work in Uganda. 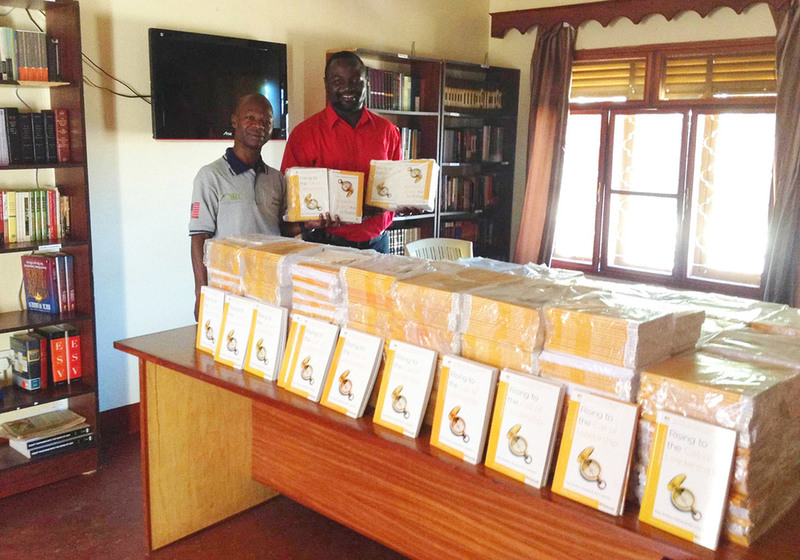 Generously providing books and Bible for resource libraries and pastor training conferences. Having invested in Richmond since he was a little boy, Compassion International continues to provide opportunities for awareness, involvement, support and training. Get to know more about Richmond through Compassion's Speaker Page, BLOG, and Videos. John Zeswitz is in his second tour of leadership at Lancaster Bible College, currently the second largest accredited independent Bible college in the United States, serving as Executive Vice President since 2014. Prior to rejoining LBC, John served on the Executive Team of LCBC church (lcbcchurch.com) in Manheim, PA. At the time of his 2014 departure, LCBC was ranked 30th largest church in the US as reported by Outreach magazine, across six campuses in the south central Pennsylvania region. He has also served as a consultant in the private sector with expertise in brand development, organizational development and crisis communication strategy. John is a graduate of Millersville University, Millersville, PA.
Emily Hartman has had a heart for engaging with the nations from a very young age. She has served short term in 8 different countries in areas of children’s ministry, teaching, media development, writing and administration. Her focus is to invest in others by discipling them and doing life together. Most recently, she served as Personnel Director for Mandate, an organization placing professionals in countries in Asia where traditional forms of missions cannot operate. Emily recently moved to Atlanta but previously lived in Chicago and loved the opportunities available to her in such a multicultural city. The church she attended was in a small neighborhood that is home to more than 40 distinct cultures, and their focus is to be intentional about connecting with individuals and families from other ethnicities with the hope of the Gospel. Her educational background includes a BA in Anthropology from University of Texas at San Antonio and a MA in Biblical Studies from Moody Theological Seminary in Chicago. Her sweet spot is using her administrative skills to help others, and it has been her joy to serve PDN in this capacity since it’s inception. Rob completed college in 1999 and soon after began his career in the Financial Services Industry as a Financial Advisor. In 2008, Rob was appointed as the first Executive Director of Eden Bridge Foundation, a faith-based non-profit in Lancaster, PA, where he continues to serve. 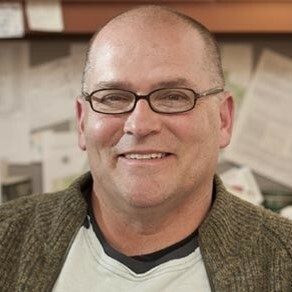 Rob’s current role as Executive Director of Eden Bridge Foundation involves assisting donors with specialized estate planning through various charitable planning techniques, including charitable trusts, in kind gifts and donor advised funds. Currently, the Foundation directs nearly $40 million in assets, all earmarked for ministry! Rob serves as a Partner and Financial Advisor with Capital View Wealth Management and also serves as the Treasurer of the Board for Jessica and Friends Community in York, PA. Rob is a graduate of Houghton College (earning a B.S. degree) and also the American Banker's Association Trust School at Emory University. Rob is married to his high-school sweetheart, Kirsten. Together, they have three children. Hobbies include adventure motorcycles, travel, cooking (eating), and skiing. Terry Timm is a pastor/teacher, musician, and coach with a deep desire to help people pursue God sized dreams for their lives. Since 1985 Terry has served in a variety of local church settings and in 2003 launched Christ Community Church of the South Hills, a missional community of faith located in the south hills of Pittsburgh. His background in the ﬁelds of music, education, theology and leadership fuels his passion of helping people become everything God intended, created, redeemed and gifted them to be. He is the author of the book, “A Movable Feast: Worship for the Other Six Days” and his intention is to empower people to engage in a lifestyle of worship, a life marked by a deep love for God, others and the world. Terry serves as a Regional Coordinator for Made to Flourish Pittsburgh, coaches pastors and leaders through his work with the Pittsburgh Leadership Foundation and teaches East African pastors as an adjunct faculty for Lancaster Bible College and Capital Seminary. Terry’s educational background includes degrees from Duquesne University in Pittsburgh (BS and M.Ed in Music) and his theological studies were conducted at Pittsburgh Theological Seminary (M.Div) and Northern Theological Seminary in Chicago (D.Min) where his focus was in the area of leadership and teamwork. Terry and Patty have been married for 34 years and together have raised four children and have two grandsons, Christopher and Roman. Mara M. Klassen retired from a successful career in high-tech in 2012 to pursue her desire to volunteer full time. Since that time Mara has helped numerous non-profit ministries refine their internal operations and improve overall data quality and practice efficiencies. In her high-tech career, Mara was Director of Inside Sales and a Senior Business Systems Analyst for Ixia, Inc. in Calabasas, CA. Wanting to transition from “success to significance” she left the corporate world to bring her talents to small non-profit Christian ministries. Mara and her husband Manley attend Calvary Chapel Oxnard. They serve together on the CCO Missions Board. Mara’s other involvements include serving as a program consultant for the Christian Foundation of the West (CFW), Communications and Marketing Director for CFW, Event Facilitator with Compassion International, and Operations consultant for the World History Institute and Latin America Assistance (LAMA). Mara and Manley are passionate about giving and financial stewardship. Together they have led numerous small group studies for Crown Financial Ministries and Compass – Finances God’s Way as well as providing budget counseling. They are Joy of Generosity facilitators for Generous Giving and want to share the joy of being generous with all those they encounter. 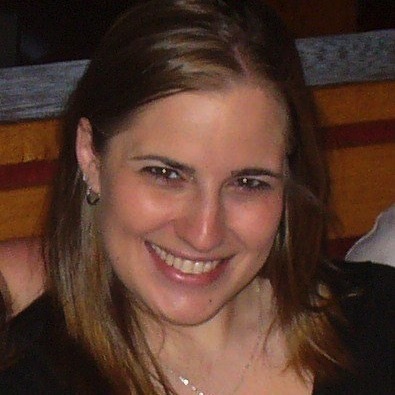 Mara resides in Oxnard, CA with her husband Manley. Rob Blanks grew up in Colorado and attended the Colorado School of Mines where he earned a Bachelor of Science in Engineering. Rob went on to earn a Master of Divinity Degree from the Southern Baptist Theological Seminary in Louisville, KY. In 1999 Rob married his wife Heather and they have 4 kids: Marian, 16; Hayden, 14; Judah and Josiah, 11. After finishing seminary Rob pastored a church in Colorado. After pastoring, Rob and Heather, along with their kids were missionaries living and working in Mozambique, Africa for 6 years. In Mozambique, they worked and taught in Portuguese in the areas of discipleship and theological education. In the fall of 2015 they relocated to the US. Rob works for Lancaster Bible College (LBC) as the LBC-PDN Partnership Liaison and Assistant Professor. In this capacity, in partnership with PDN, he leads LBC’s online Master of Arts in Contextualized Pastoral Ministry degree offered in Africa. Manley Klassen retired from a successful career in high-tech in 2014 to join his wife in her desire to volunteer full time. In his high-tech career, Manley was an FPGA designer, Senior Electrical and Hardware Engineer at Ixia, Inc. in Calabasas, CA. Manley and his wife Mara attend Calvary Chapel Oxnard. They serve together on the CCO Missions Board. Manley's other involvements include serving on the Business Board for Calvary Chapel Oxnard, Event Facilitator with Compassion International, and race director for the Born To Run 200 mile and 4-Day events. Manley and Mara are passionate about giving and financial stewardship. Together they have led numerous small group studies for Crown Financial Ministries and Compass – Finances God’s Way as well as providing budget counseling. They are Joy of Generosity facilitators for Generous Giving and want to share the joy of being generous with all those they encounter. Manley has a passion for ultra-running and has completed multiple 50 mile, 100 mile and even a 200 mile race. His next goal is to run across the country of Uganda to raise awareness for PDN. Manley resides in Oxnard, CA with wife Mara. When Richmond's father was murdered, he was left to help care for his six siblings. He entered a Compassion International-assisted child development center at his local church when he was 8, then his life and his family changed dramatically. Richmond is currently pursuing his PhD in Leadership through Lancaster Bible College in Lancaster, PA (USA). He lives in Kampala with his wife Rosette.